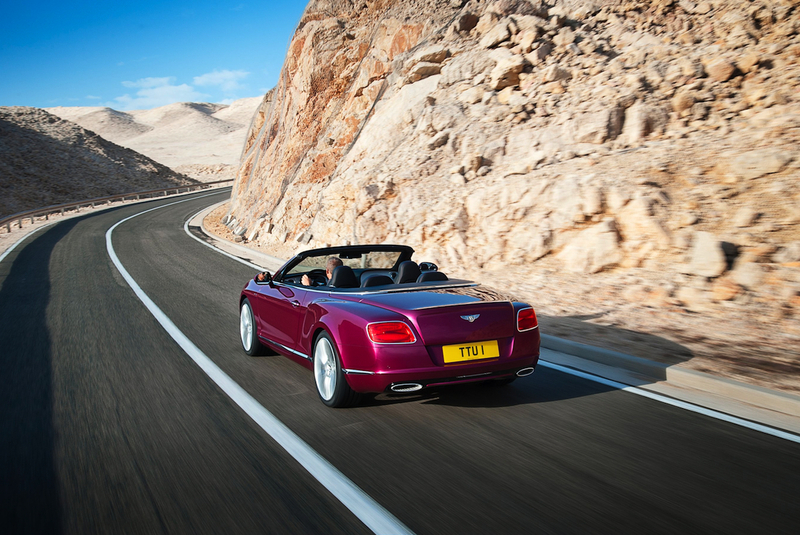 If you have a thing for wind-in-your-hair motoring and the budget to buy the fastest four-seat ragtop in the world, let us be the first to bring you the good news: your ride is here, or more accurately, at your local Bentley dealership. 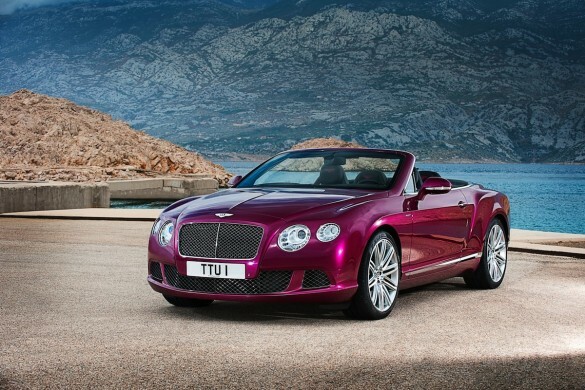 The luxury brand’s latest model is a convertible based on the Continental GT Speed, which means it packs a 616 horsepower W-12 punch beneath its stylish hood. The twin-turbo W-12 engine gets mated to an eight speed automatic transmission, giving the Continental GT Speed Convertible the ability to sprint from 0-60 mph in 4.4 seconds and 0-100 mph in just 9.7 seconds. Top speed is said to be 202 miles per hour, making the Bentley the fastest four-seat convertible in the world. Thanks to the added benefit of all-wheel drive, the Continental GT Speed Convertible is suitable for year-round use (though we imagine most owners have a beater Porsche Cayenne Turbo for winter use). 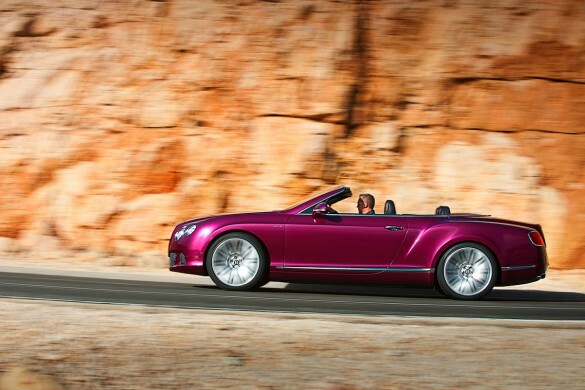 While no one will confuse the Continental GT Speed Convertible with a car from a lesser brand, Bentley still wants buyers to recognize the car’s edgy (for Bentley, anyway) styling. Dark chrome replaces the typical finish on the radiator grille and bumper air intakes. Twenty-one inch wheels, unique to this model, give the car a stance aided by a 10mm suspension drop (compared to the Continental GT Convertible). Inside, buyers get an interior straight out of the Mulliner Driving Specification model, complete with daimond-quilted seating, machined knobs and engine-turned trim. Standard features abound, but like any Bentley model options are limited only by the buyer’s imagination and budget. The car will make its official debut at this month’s Detroit Auto Show. Look for pricing and availability detail to be released closer to launch.